When you go to King Taco in Los Angeles on a Saturday night, looking to fill up on some of their famous Mexican food, you’re given a choice: Walk right up to the counter inside the restaurant, or wait in a long line for up to an hour at their taco truck parked out front. That’s right, they have their own taco truck permanently situated next to the building. They don’t drive it anywhere. Why would hungry taco fans wait for an hour to seemingly get the same tacos they can get right away just steps inside the door? Pulitzer Prize-winning food critic Jonathan Gold has an answer. Perhaps. But there’s obviously something to it. Customers don’t just want the tacos, they want a connection to the people making the tacos. They want an experience, one in which they sense a relationship. At the truck, they can hear the meat grilling, watch the sauce being sloshed over it, and laugh with the cook as he hands it out the window. 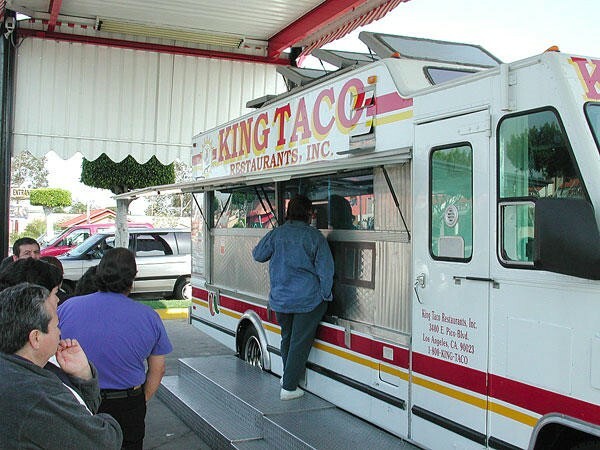 King Taco’s self-disruptive taco truck is a brilliant strategy. They’re giving people what they really want — a connection. The same is true for those of us crafting strategies for voice and tone in our products and services. Sure, we can put together an effective strategy based on a traditional framework — customer needs met by character attributes brought to life with principles — but meeting basic needs with our voice isn’t going to win us the game in the long run. We need to move beyond the transactional into the world of want, the land of desire. I’m talking about paying off on emotional needs. That’s how we can differentiate ourselves from our competitors. And we also need to flex who we are to meet those needs and wants across varying touchpoints end to end. Resonance in context is key. Creating a real and lasting relationship with our customers through voice and tone also means that we need to show up. We declare our own desires in the relationship. We have something at stake as well. No relationship will seem real unless both parties are revealing something about themselves that makes them human. Look for emotional needs, not just transactional ones. “I need to sign in” is transactional. “I want to feel safe and secure” is emotional. It’s a desire. This is where voice can play a big role. Get comfortable with leaving other needs to the overall design, or the art and science your team can bring, things like data and AI. And remember, declare your own desires in the relationship, so that how you talk reflects something human. Your customer wants to succeed. You want to help them succeed. Put that in your strategy and it will come through in your voice. Your authenticity will shine. Now that you’ve identified the needs and desires you believe you can meet with your voice, brainstorm some characters and voice attributes. These should align with any brand character attributes you’ve already created. You’re looking for ways to meet your customer needs, but you should also be asking, “Does the voice I’m creating resonate with the customer’s story — the story they are telling themselves about what is going to happen?” Should you treat them like a hero? Possibly. Do they want to be one? You need to know. I’ve spent a lot of time studying the success of narrative video games, and the most important thing those designers and writers have taught me is the value of the player/non-player relationship. The player is coming to the game already telling themselves what’s going to happen in there. 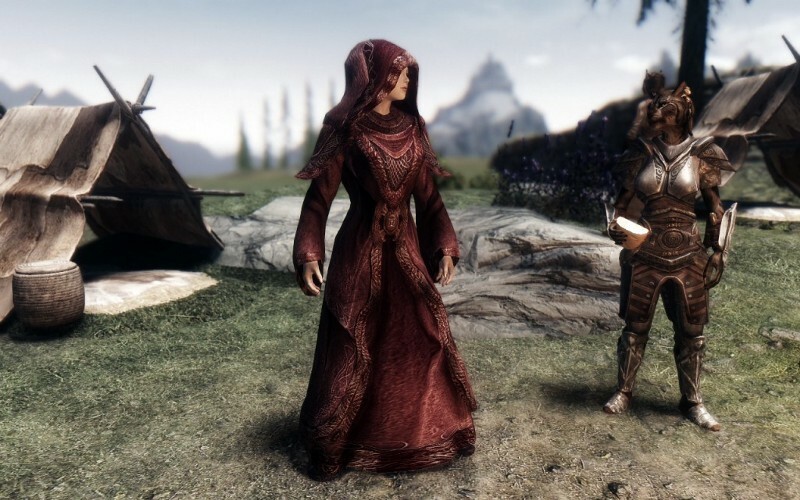 The non-player character created by the game writer must meet them where they are with that. Don’t co-opt the story. It belongs to them. All you have to do is make it richer by giving them what they need to win the game their way. We’re all storytellers. That’s how we have communicated for millennia. 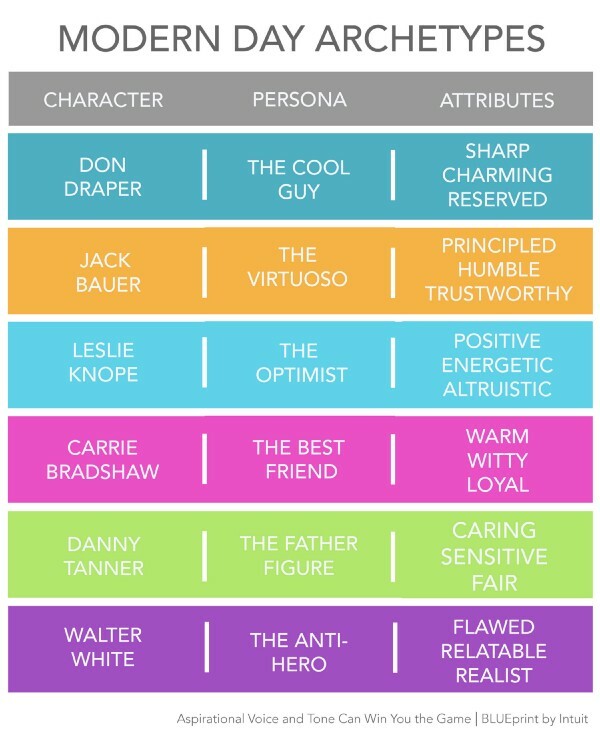 So, identifying your character with a story archetype will help you move forward with your design team. Declaring that you need to be like Tom Hanks or your uncle Jack can get you to a set of attributes, but when you’re ready to communicate the character description, talk about the underlying and universally understood archetype — Uncle Jack is actually a kind of “coach.” Uncle Jack is subjective. But everyone gets who a coach is. And you don’t have to limit yourself to classic Jungian archetypes, like The Ruler or The Sage. There are thousands of archetypes that come from modern-day storytelling. Think about all the cop movies you’ve seen. The “retiring cop” paired with the “out-of-control rookie” in the “Lethal Weapon” series is a relationship that works, built on archetypes we all understand. Our tone flexes to the mood of the moment. And context is key in flexing tone. If I’m at happy hour and my boss is there, I might not tell a dirty joke. But our voice — how our character shows up across a broader experience or touchpoint — can flex too. Consider putting together a framework for how you flex to the varying and changing needs of your customer across different touchpoints. If your customer is deciding on a product, you might sound a little more empowering and persuasive all the way through that experience. If they’re reaching out to you for help in getting unstuck, you might flex to being a little more perceptive and dedicated. Declaring this will help your design team succeed at connecting with your customer. It’s OK if there’s some overlap in your framework. Some attributes will be repeated in each flex. The important thing is you are being considerate of your customer’s changing needs. And remember, you are still the same character. Don’t do anything that would challenge who you are, your overall brand. That’s where trust in your product lives. Even though your current principles may be working really well, there’s great value in disrupting your own thinking. Put them aside and focus on new, more aspirational principles instead. Your top-level principles shouldn’t be about things that you would always do, like making it conversational or accurate, things that are transactional in nature. They also shouldn’t be about things your competitors are already doing. Differentiate your voice by focusing on attributes and principles that can build a deeper relationship with your customers. This is where we often get the most uncomfortable. We feel a need to emphasize the importance of conversational voice and simple design. That’s our comfort zone. And it’s our rut. It can get in the way of creating emotional engagement. Consider the difference in a relationship based on principles like “Keep it simple” versus one based on “Speak to their higher self.” One creates a relationship that is basically transactional; the other elevates it to one of maturity and fulfillment. If you still need to provide guidance on the basics, what I like to call “no duh” principles, then put that in an addendum so it doesn’t cloud your bigger goals. Like any real relationship, it doesn’t start off at full speed. You’d never talk about your struggles with an estranged family member if you were on a first date with someone (at least, not if you wanted a second date). 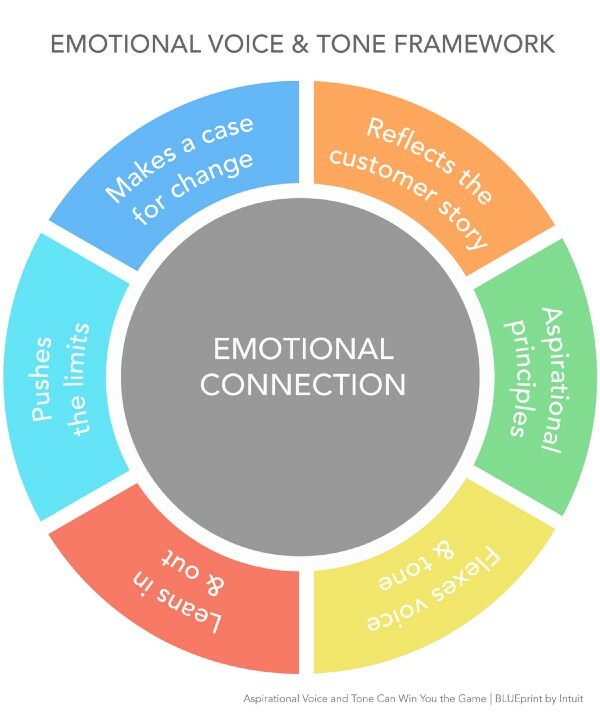 Understand and respect the building nature of the relationship with your customer, going from just getting to know them in the beginning — being more matter-of-fact — to offering insight and advocacy as the relationship evolves — becoming more of a partner or mentor. Examples from TurboTax of leaning in with voice on the left, and leaning out on the right. And know when to lean in and lean out along the way. Things like celebration, talk of opportunities, deeper wisdom and knowledge: These I like to call “strong voice.” You wouldn’t use a lot of that if the customer is purely in task mode. Know when to step back and let them take the reins. The most useful part of any strategy is the set of examples you curate to show the possibilities of your principles and the relationship you are trying to create. Prototype some new examples that push the limits. These will give the team something to shoot for, while pulling them out of old thinking. You can always dial things back if they stray too far from your brand character. But fostering some creative tension between practical limitations and a lofty vision for your voice is a good thing. It not only inspires the broader team, it leads to innovation. In UX design, we are inclined to believe that less is more. We’ve all heard the refrain “People don’t read.” That can be true. And we don’t want to create fatigue with too much content that overwhelms the design, especially in mobile form factors. But a customer not reading something might also have to do with the words not resonating. Remember, customers at King Taco will wait for an hour when they don’t have to. That’s because what they really want is a connection. And your customers will consume a lot of content, much more than they need to, if it connects to their curiosity, or their humanity. Words aren’t an end in themselves, they are a means to an end: The emotional connection underlying the words.